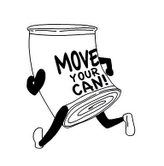 MOVE YOUR CAN Fun Run / Walk event this summer. The event is a 5K (roughly 3 miles),and we are anticipating about 75-100 runners. The race is scheduled for Saturday June 25th, 2016. Registration will begin at 7:30am and the race will begin at 8:15am. The race will be family oriented and will start and finish at Bayside Park in Colchester. and an event T-shirt. Participants can register here. 501(C)3 so your donation will be tax deductible.